The countdown to the big party has begun! Are you prepared? 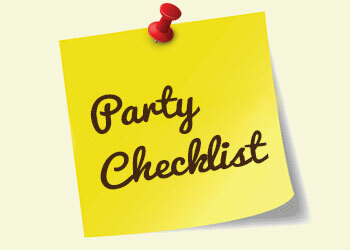 We present you a ready checklist of things to do and buy to make the party go off without a hitch. Please note this list is meant as a ready reckoner rather than a shopping guide. We have also tried to pinpoint products you may find useful. It may be better to go for Mylar balloons instead of Latex since Latex balloons unlike Mylar break into small, potentially unsafe pieces on bursting. This could prove a choking hazard for very small children. Latex is also more allergenic than Mylar. Make a guest list. Make sure you invite a few more people than you planned for since only 70-80 percent people show up especially in case of a large party. Decide on your party theme. You can order or arrange for decorations, party favors, music accordingly. Select your recipes and stick to the ones that can be prepared beforehand so you need to only warm the dishes before serving them at your party. 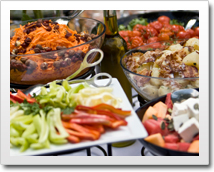 If you need to order food from a local caterer, place an order with them. Ask for help if required or consider hiring a professional or local teenager to help with serving, minding the children, organizing games or cleaning up afterwards. If it’s a children’s party decide on the dress your little one will wear. You can order the dress so that it reaches in good time. 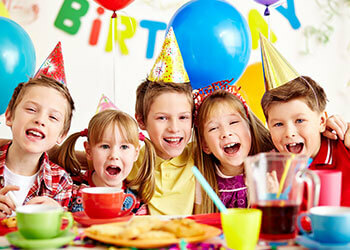 Organize party games and activities (2-3) if it is a children’s party, buy some prizes for winners and keep the relevant materials needed for the games or activities ready. Buy party favors if it’s a children’s party and package them individually in boxes / bags. If you are using your own cutlery and crockery, give it a good clean. Wash and iron tablecloths and table linen. An easier way would be to order solid party supplies, attractive paper napkins and easy to use plastic table covers. No hassle and no washing up! Decide on music. If you are having a party for very young children nursery rhyme CDS with a good beat should be great. You could also try matching the music with the theme. Keep your playlist ready. Cook the party dishes you shortlisted that can be frozen in advance.